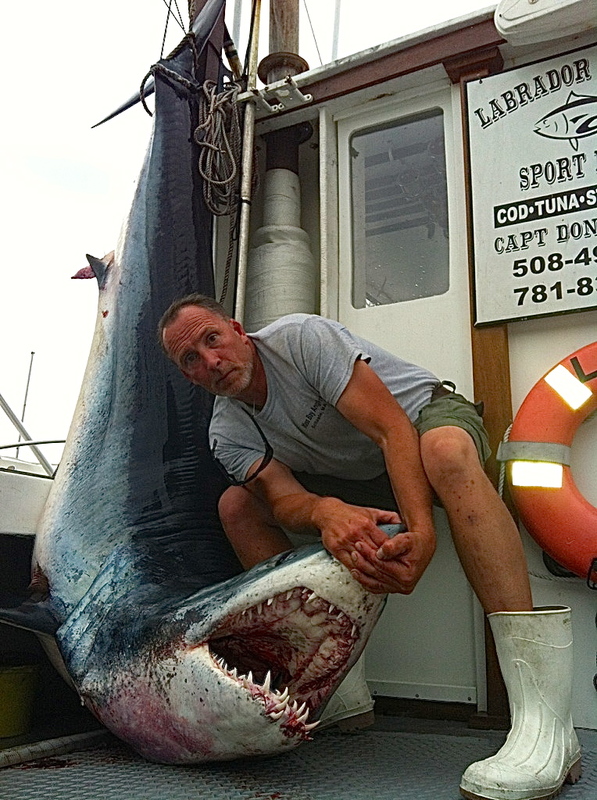 These Are Captain Don’s Favorite Type Of Charters, So Book This Exciting Trip Today! 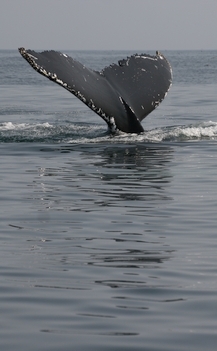 Please see our “Trips & Rates” page for all the adventures we offer. 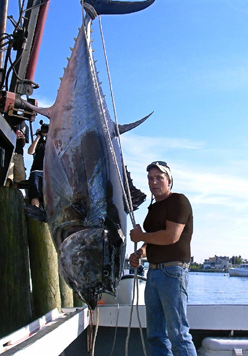 If you are planning a Boston deep-sea fishing trip, or looking for the ultimate fishing experience, Labrador Fishing Charters is your source for fishing guides and services in Mass Bay. 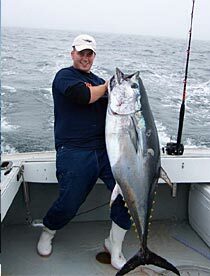 Our Deep Sea Charter fishing trips and guide services in Massachusetts Bay offer some of the best fishing charters in the entire state. 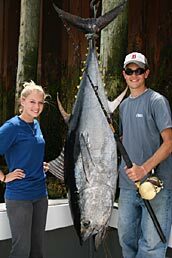 We offer a variety of Boston offshore and inshore fishing packages, ranging from half-day trips and full trips, to afternoon trips. On a Bay Deep Sea fishing trip with Labrador Fishing Charters, we fish for tuna, striped bass, flounder, cod, porbeagle and thresher sharks, and much more (check out our what we catch page for a more complete list). 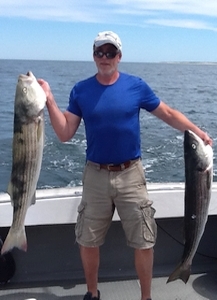 Our friendly approach and dedication to customer service has made us the top Boston charter fishing company, and we proudly remain at the call of our returning guests. Regardless of your skill level, we know attention to detail is an important quality in tossing out your line. With our guidance, you are much closer to hooking a real whopper, and adding an exciting page to your scrapbook. 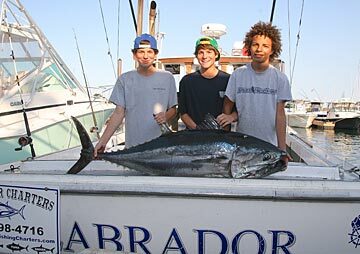 Labrador Fishing Charters welcomes anglers of any level and age. For an exciting family charter fishing experience, book one of our Children’s Fishing Trips; we take you and your kids out for an afternoon adventure that includes fishing for sandsharks, mackerel and flounder, in addition to lobster pot pulling. 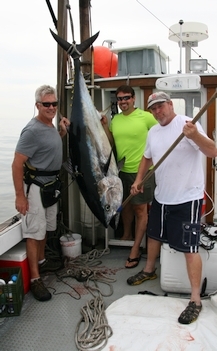 If chartering our entire vessel is not an option for you, consider our mixed/shared party fishing trips on Thursdays. We often shift our schedules to ensure we always have a boat available to accommodate your party. 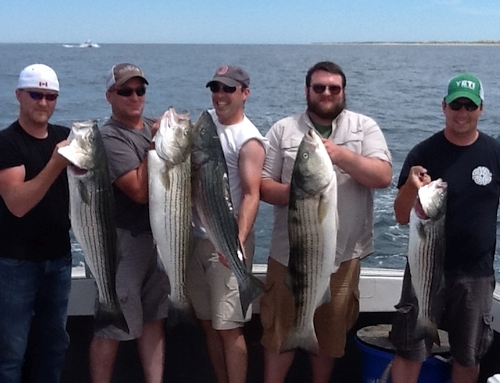 Check out our trips and rates page for current fishing rates. To book a trip or to inquire with questions, give us a call at 508-280-4796. 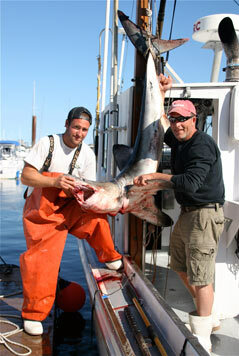 You can also reach us via email at info@labradorfishingcharters.com. is a wonderful and engaging read about a fish and those who’s lives have been shaped by it. Worth a read! Based out of the Mill Wharf Marina in picturesque downtown Scituate, MA, the Labrador has easy access to some of the finest and most fertile fishing grounds on the east coast including the Boston area, Stellwagen Bank, Cape Cod Bay, Jeffreys Ledge, Wildcat Knoll, Race Point and Platts Bank/Three Dory Ledge. 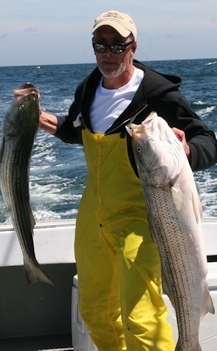 In these waters you will find some of the best tuna, shark, bluefish, striped bass, codfish, haddock, flounder, and fluke fishing in Massachusetts Bay and the entire Gulf of Maine. From ‘anglers-in-training’ to veteran and hard-core fishing enthusiasts, there is an experience to be remembered for all onboard the Labrador, a well-outfitted, spacious 32′ BHM vessel. A day’s adventure on the Labrador into the waters of Cape Cod Bay and beyond can be both a relaxing and challenging fishing experience. 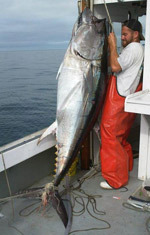 Guests will appreciate Captain Don Campbell’s skills as a skipper and his ample experience and impressive track record locating and catching all types of fish. Captain Don offers 1/2 day and full day charters as well as private guide services, and always accommodates his clients in pursuit of their favorite fishing experience. 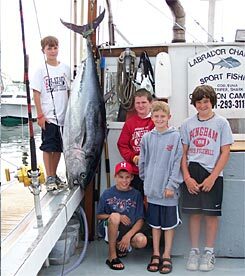 For young, aspiring fishing enthusiasts, Captain Campbell offers children’s trips that include in-shore sand-shark fishing and lobster pot pulling; this is a fantastic way to introduce children to the wonders of the ocean in their backyard. 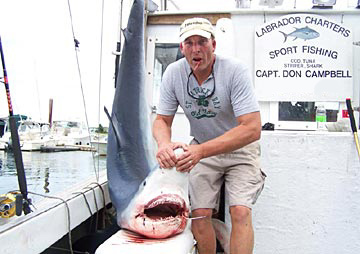 Scores of fishing parties have traveled the local waters with Captain Don aboard the Labrador and many come back year after year. Come aboard as guests of Captain Don and the Labrador. 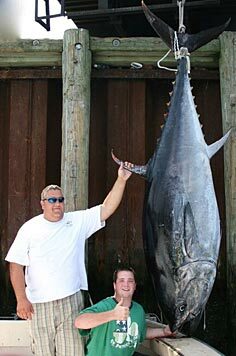 We are committed to providing you with the best deep sea or in-shore sport fishing experience possible. Book your charter today for a memorable adventure on the water. or email us for information: info@labradorfishingcharters.com. The following sites offer information related to sport-fishing and a visit to The Mill Wharf Marina in Scituate, Massachusetts. 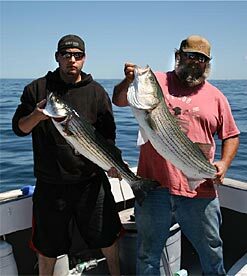 Labrador Fishing Charters is your Massachusetts Bay premier deep sea fishing experience. 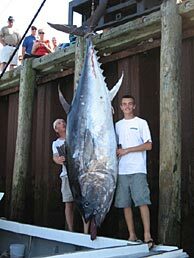 Expert on Blue Fin Tuna, Cod, Shark and Bass, we offer trips for all groups including sport, business and family outings.